Its become a tradition. Whilst the surgeons and theatre staff are beavering away, the ward nurses perform a quality control of the surgeon’s work. 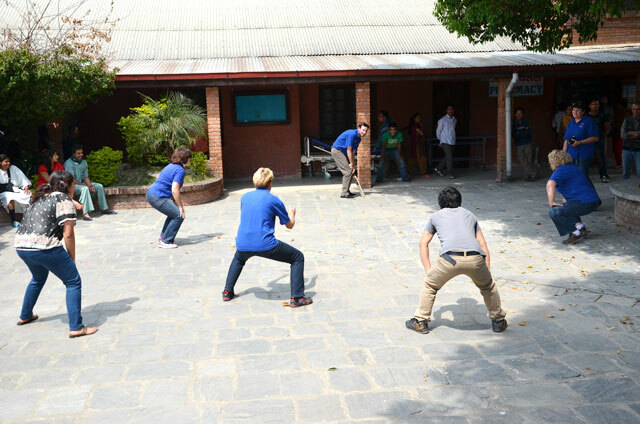 What better way to test the new limb than a game of cricket? The game always attracts a crowd, but surprisingly its often hard to find willing players with most of the locals content to just watch (and laugh). The responsibility then falls to the Aussies. Special thanks to nurse Bronwyn who makes this an annual event by leaving the cricket bat with the medical supplies. This year all the patients past the quality test with flying colours, which is more than I can say for nurse Wendy who was hit by a fast ball in the ….. lets just say, ouch! !